Share your career knowledge about the field of medicine with interested Feinberg medical students. 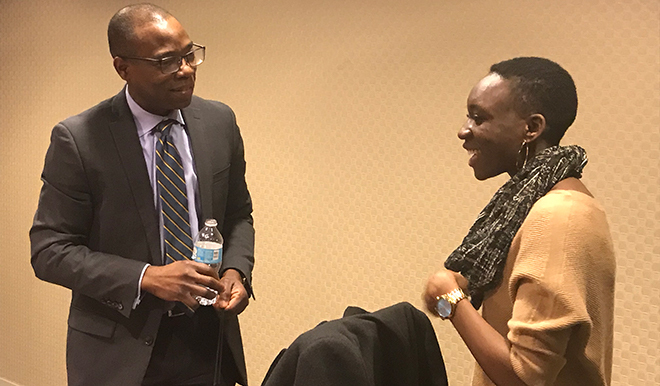 The Northwestern Network Mentorship Program was created to cultivate meaningful professional mentor/mentee relationships between the University’s accomplished alumni and students. Alumni from all classes may participate as volunteer mentors and/or mentees. These mentoring relationships are meant to provide valuable support and guidance to students as they navigate their careers. Mentor Circles, a new initiative of the Northwestern Network Mentorship program, allow alumni to mentor small groups of students and alumni (up to eight at once) for a one-time or recurring discussion on a subject of their choosing. We sponsor several mentoring events throughout the year, and are also happy to connect alumni and students with similar career and general interests via email or otherwise. Please reach out to us if you are interested.